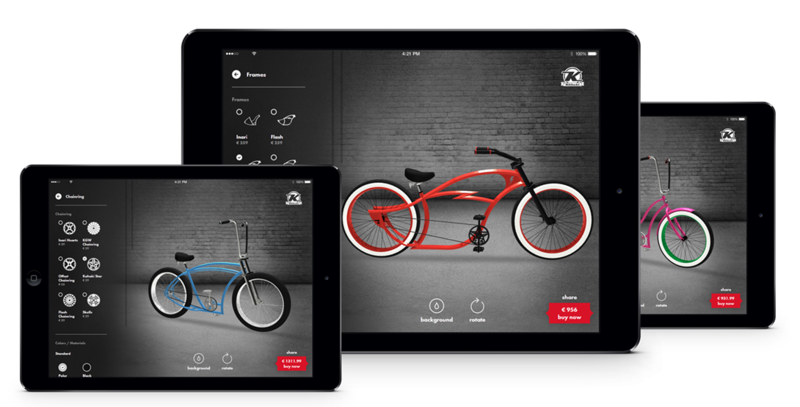 Thanks to this tool you can easily design your own custom bike. Choose the desired colors, parts and create unique cruiser. 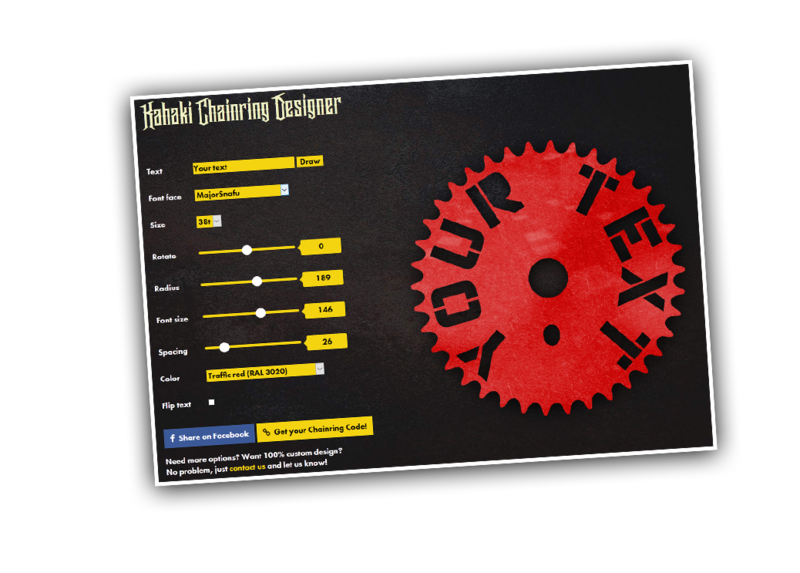 Thanks to Kahaki Chainring Designer you can create your own chainring with any text you want. There are few fonts, sizes and colors to choose from. Your design will be checked, tested, cnc cut and even powdercoated! 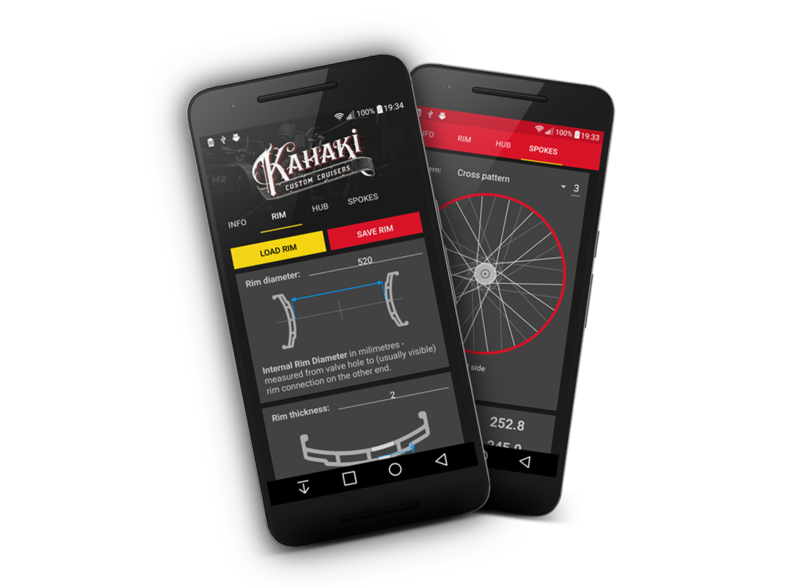 Kahaki Spoke Tool is a mobile app designed to help you build the best wheels. Perform few measurements and calculate needed spoke length. Thanks to cosmic-era technologies you are also able to see how the complete wheel will look like. There are few lacing options to choose from and app is compatible with fat bikes, wide rims and most non-standard parts. As always – if you need something more just let us know!